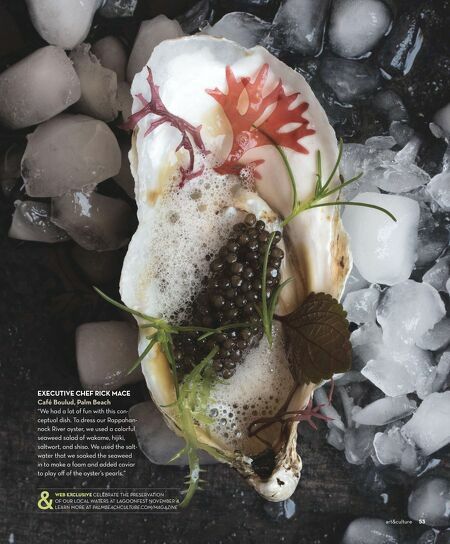 52 art&culture art&culture 52 EXECUTIVE CHEF GUSTAVO CALDERON 3800 Ocean, Singer Island "I wanted the oysters to speak for themselves and focus on bringing out the quality everyone loves and looks for in these little mollusks: freshness. 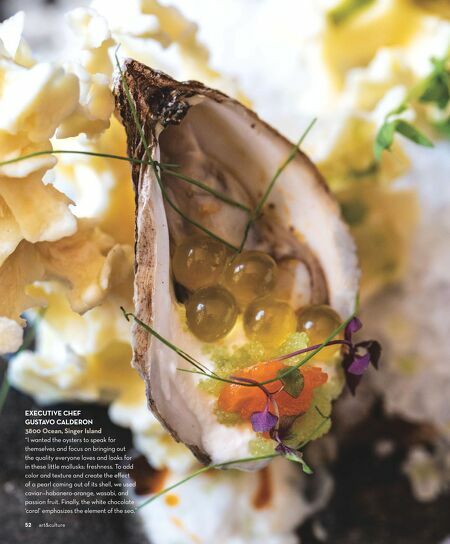 To add color and texture and create the effect of a pearl coming out of its shell, we used caviar—habanero-orange, wasabi, and passion fruit. Finally, the white chocolate 'coral' emphasizes the element of the sea."